Please welcome today's special guest. 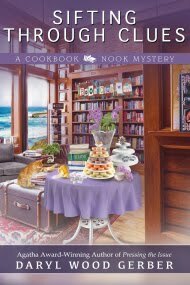 Lois Winston is the author of the critically acclaimed Anastasia Pollack Crafting Mysteries published by Midnight Ink. Assault With a Deadly Glue Gun, the first book in the series, received starred reviews from Publishers Weekly and Booklist and was recently nominated for a Readers Choice Award by the Salt Lake City Library System. The new year brings with it the release of Death By Killer Mop Doll, the second book in her series. 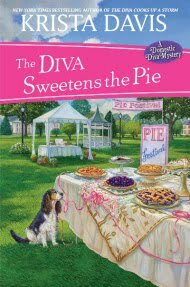 Read an excerpt from Lois's new mystery by clicking here. 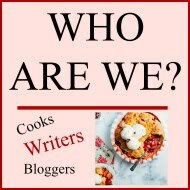 Find out more about Lois and her books by visiting her website by clicking here or visit Anastasia at the Killer Crafts & Crafty Killers blog by clicking here. You can also follow Lois and Anastasia on Twitter @anasleuth. 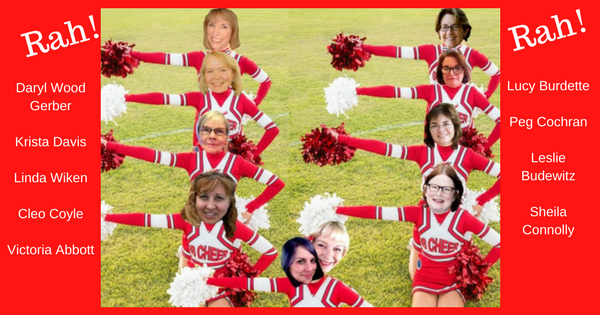 Cindy Sample Books -- Pat GulleyKiller Characters -- Jane R.
If you don't see your name, you still have a chance to win! Lois is giving away 3 copies of Death By Killer Mop Doll on Goodreads. Click here to visit the giveaway page. Thanks again, Lois, for visiting our Kitchen! 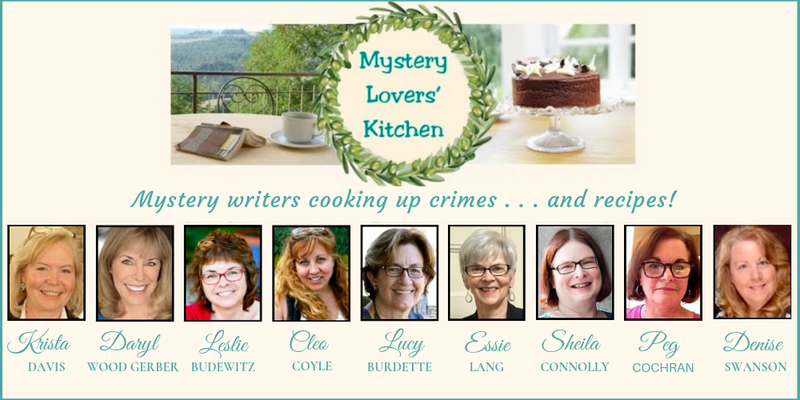 I want to thank Riley/Elizabeth for inviting me back to guest on Mystery Lovers’ Kitchen, even though I write crafting mysteries, not food mysteries. Last time I was here, I talked about Assault With a Deadly Glue Gun, the first book in my Anastasia Pollack Crafting Mysteries. 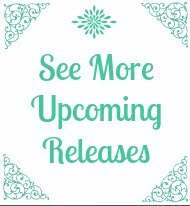 Throughout the month of January, I’m on a blog tour for the release of Death By Killer Mop Doll, the second book in the series, featuring magazine crafts editor Anastasia Pollack and her food editor sidekick Cloris McWerther. Along with keeping my reluctant amateur sleuth’s sweet tooth sated, Cloris plays Watson to Anastasia’s Sherlock. 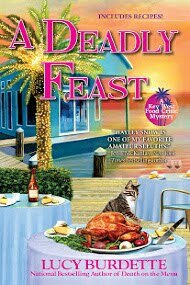 And since Anastasia is juggling recent widowhood, two teenage sons, a semi-invalid communist mother-in-law, her Russian princess mother, and a mountain of debt, Cloris has once again agreed to step in to provide one of her recipes to the readers of Mystery Lovers’ Kitchen. Peel and slice apples. Place in bowl. Add cinnamon and 1/4 cup sugar. Mix to coat apples. Set aside. Cream the butter and remaining 2 cups of sugar. Mix all other dry ingredients together. Slowly add dry ingredients to butter/sugar mixture. Combine eggs, juice, vanilla, and almond extract. Slowly add to other ingredients as you continue to mix. Batter will be thick. Grease and flour bundt pan. Place small amount of batter in bottom of pan. Add a layer of apples. Continue layering batter and apples, with batter as last layer. Back at 350 degrees for 1-1/2 hours. Cool on wire rack 15-20 minutes. Remove cake from bundt pan. Dust with confectioner’s sugar. She's giving away 3 copies of Death By Killer Mop Doll on Goodreads. Click here to visit the giveaway page. The recipe looks very good. I enjoyed reading the excerpt and look forward to the book. Thanks for the giveaway. 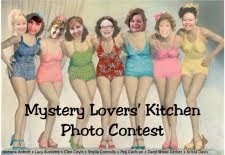 Welcome back to Mystery Lovers Kitchen. I think I need to go out and buy a bundt pan. I had one but it was all beat up so I threw it out. Like I said time for a new one. I will also be adding this series to my TBR list. Thanks again for the recipe and congrats on the nomination! I love the title of your book. I am not sure if I will try the recipe. I need to be gluten free. Maybe I can substitute other flour. I am looking forward to reading Assault With A Deadly Glue Gun. This apple cake recipe looks very yummy. Thank you! I love bundt cakes--my usual go-to is rum cake, but that isn't always suitable. 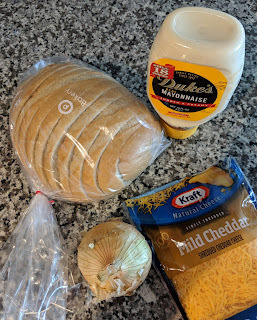 I love having a new recipe to try out. Almost as good as a new book! I'm so glad the book is getting so much acclaim! Well deserved, and a long time coming. Yay, Lois! Congratulations on your new book, Lois! I love that the apples are layered in -- so clever. I'll have to try doing that. Sounds delicious, love the addition of orange juice...I think I need to get a bundt pan! I'd love a chance to win a book as well! Well, two new things to try today -- a recipe and a book. Both your characters and your cake sound rich and flavorful. Making my list now to go shopping for the ingredients. Yum!!! Won my copy of Death by Killer Mop Doll in a previous contest. I enjoyed it so much I purchased Lois's Assault with a Deadly Glue gun. Loved the characters. Love the idea of the apple layers. Yum. I remember seeing your book on Goodreads, and was fascinated by a the idea, as I had never heard of a Mop Doll. I would love to read this book—please enter me to win! The bundt cake looks delish—I just may have to try my hand at this recipe—thanks! Lois - I am absolutely de-lighted to see you in our Kitchen again. ASSAULT WITH A DEADLY GLUE GUN was a wonderful LOL read. (Its stars and honors are well deserved.) Congrats on the publication of the next entry (DEATH BY KILLER MOP DOLL - gotta love that title). Finally, thanks for a delicious recipe. Bundt cakes always make me happy-happy. They're nearly foolproof and was it not Ben Franklin who said: An apple dessert a day keeps the doctor away? Congrats again and come on back now, y'hear?! This recipe sounds very good. But does anyone know what you can substitute for the orange juice? I am allergic to citrus so I do not make any recipes that call for citrus. I'm definitely going to try your recipe--it actually looks easy enough for me to attempt and I have some apples left yet from our apple tree in the back yard that should work just perfectly. I think I'll have to increase the number of apple, though, because they are very small. I will definitely try this recipe. I told my kids about it and they can't wait for me to make it. The cake looks great. I'll be saving the recipe for fall and apple season. Thanks for sharing. Hi Everyone! Sorry I haven't responded to comments sooner. I've been on airplanes most of the day. bn100, I hope you enjoy the book! Busymom, thanks for the congrats! Go buy that new bundt pan. This recipe is definitely worth the investment. Debby, I've never baked glueten free, but I would imagine with a bit of experimenting, you might be able to adapt the recipe. I'd love to know if you do. Pam, hope you enjoy the book! Deborah, thanks! So nice to see you here. I have a recipe for a whiskey bundt cake where you pour the whiskey onto the warm cake before removing it from the pan. I wonder how the apple cake would taste if you tried pouring some rum over it and letting it soak in the same way. Krista, thanks for the congrats! Hope you enjoy the cake if you give it a try. Katreader, as I mentioned to Busymom, this recipe is definitely worth the investment in a bundt pan. Thanks, Llyn! Hope you enjoy both! Theresa, thanks for the plug! Gayle, I hope you'll give the book a try. skkorman, you and everyone else who has posted is entered in the contest. Good luck! Dee, dig out that bundt pan! Anonymous, this recipe is perfect for those apples you have sitting around. Nancy, I'm sure you can replace the orange juice with any non-citrus juice. Try apple juice. Sue, an apple tree in the backyard! Lucky woman! kiki, hope your family enjoys the cake! The recipe looks yummy. If I cooked, I might try it out.